Yonder do the screencaps await your perusal! The first 33 are in order, and then I went back and capped a few that weren't sepia but were still Totally Awesome, or were similar to the others but without text (REALLY hard to get any of the sepia pics without text, FYI). Hee! Well, me too, but I tend to forget now that I have my 1920 x 1080 pixel screen resolution (which is kind of ridiculously big, actually) that pictures *I* think are small are actually wide enough to throw off someone's entire friends' page if I post them without the cut. I think the first pic was too wide. Did you get some sleep last night? Or did you spend all night admiring pictures of cute Sherlockian men? Hee. i got sleep but i had good sherlock dreams. Damn. I got a problem. OMG I want to see it again so bad, even if I know what happens now. I actually went to Amazon today and signed up to be notified for when the DVD comes out. I think I had a dream about...recording sleep patterns? No, I am not kidding. My dreams were so LAME last night. I made it smaller. Sorry. This screen really messes me up, because things like 400px images only look 3 inches across on it! Heh. THANK YOU. Those were totally gorgeous. 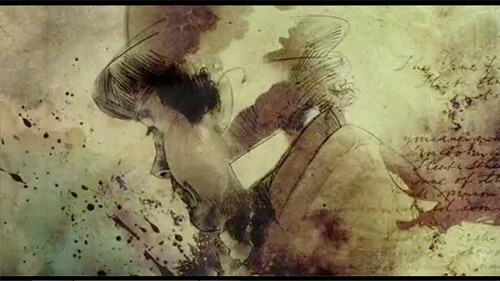 I just posted at 221b_bakerst saying how wonderful the end credits were, and maudelynn was kind enough to point me here. Thank you for making them available! Thank you for doing all the hard work! Alas, the handy zip file is "not available."